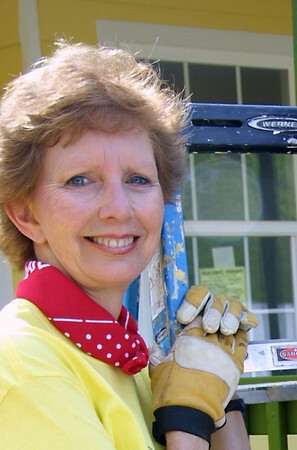 As the co-founder of Habitat for Humanity in 1976 and then The Fuller Center for Housing in 2005, Linda Fuller has spent nearly her entire adult life helping families have simple, decent places to live. Thanks to the efforts of Linda and her late husband Millard Fuller, millions of people have moved out of shacks and slums and into safe houses around the world. Linda will turn 75 on February 17, but Fuller Center partners, volunteers and supporters will be celebrating the occasion throughout the first three months of 2016. There will be a Lind-A Hand Build for Women and celebration on March 19 in Macon, Georgia, as well as a nationwide campaign to honor “The First Lady of Affordable Housing” and raise $75,000 to build and repair homes in her honor. For more details about the life of Linda Fuller, see her biography page at FullerCenter.org/LindaFuller. To set up interviews or discuss story possibilities, contact Fuller Center Director of Communications Chris Johnson at cjohnson@fullercenter.org or 229-924-2900.